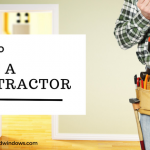 Is your front door ready to be replaced? You may not be able to tell! 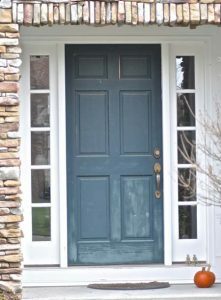 Here is a list of signs that signal you should be looking at replacing your aging front door. The towel you stuff under the door to keep the cold air out is starting to freeze. The foggy glass isn’t a special effect for the holidays – it looks that way all year round. It has more dents, dings, and rust than a junkyard car. This isn’t what HGTV designers mean by “old world charm”! Who needs a peep hole? It’s easier to look through the ever-widening cracks to see who is at your door. Forget going to the gym – you get a full body workout every time you open and close the door. There is visible rot from water or insect damage. People compliment you on your authentic retro exterior. Oh, that isn’t the look you’re going for at all? If you have noticed one, two or even all of these happening, Don’t panic! Did you know that entry doors come in a wide array of designs? Here are some things to consider when looking at replacing your entry door. Do you want your door to swing to the left or the right? There are so many options to choose from: decorative, textured, impact-resistant, and more! We would love to help you find the perfect entry door for your home. 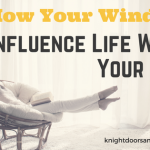 Contact Knight Doors and Windows to discuss your options today!